Both General Motors and CEO Mary Barra had a good year in 2015 and it shows: Her total pay package jumped 77%. Her total pay for 2015 reached $28.6 million, up from $16.2 million she received in 2014, according to a GM (GM) filing Friday. Most of the gain was thanks to $11.2 million in stock options that she got last year. She didn't get any stock options as part of her 2014 package. Nearly every element of her pay package improved. Her base pay rose 12% to $1.8 million and her incentive cash pay jumped nearly 50% to $3.1 million. Her stock grant grew 2% to $12 million. Ford (F) CEO Mark Fields, who took the top job at the No. 2 automaker six months after Barra became CEO, made $18.6 million in 2015, down 2%. Sergio Marchionne, received about $11 million as CEO of Fiat Chrysler (FCAU). 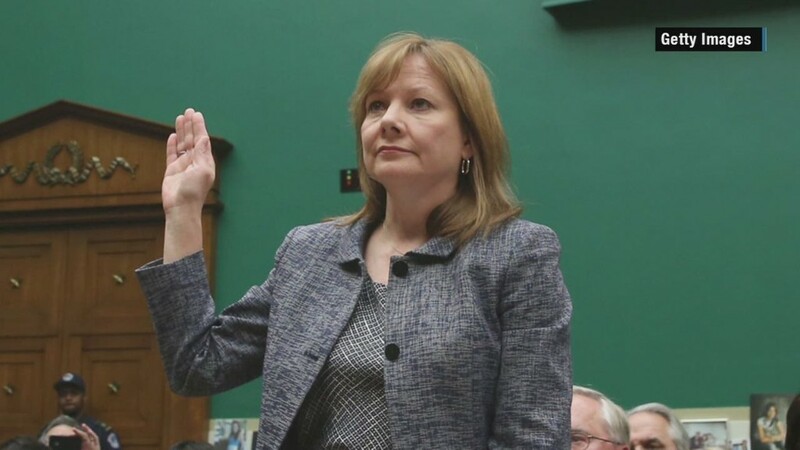 Barra became the first woman to lead a major U.S. automaker in January of 2014. She spent most of her first year dealing with the ignition switch recall crisis, which hit the automaker just as she took over the top job. She became the face of the automaker's response to the crisis, apologizing to victims and their families. She also set up both an outside investigation that led to firings and a compensation fund for victims. The ignition switch, which has been tied to at least 124 deaths, sparked a rash of recalls which cost the automaker $4.1 billion in 2014. But the automaker reported the largest profit in its 107-year history in 2015, as industrywide U.S. car sales hit record levels.